This is one of the most prevalent mantras of our time. Do you sometimes wish today's world more resembled a time when we lived in tribes, close to earth and each other, in a very simple lifestyle? Certainly I catch myself wishing that our modern world was slower and more simple. Evolutionarily speaking, we are called to be Jedi Masters in an age where overstimulation and information-overload is so normal we don’t always realize it’s happening. And, as every aspiring Jedi Master knows, the key to mastery is to stay connected with ourselves, even when there is a powerful demand from the overculture to do more, produce more and go faster. So how do we do this? How do we stay connected to ourselves when our learned behavior is to keep our attention on the outside and engage primarily with the external world? How do we keep returning to ourselves when we are taught that the answers to both our fears and our desires are found in the exterior of our existence? It’s so easy to get lost in the chaos of all that is happening around us and feel empty inside. What we often forget is that there is a world within calling each one of us home. We can go our whole lives without truly recognizing that our bodies are incredible messengers filled with profound, unfailing wisdom. The more we can bring our attention toward our inner experience, the more we can harness our inner wisdom and feel at home within ourselves amidst the world’s demands. The doorway to becoming a Jedi Master in today's world is to be present to our moment-to-moment internal experience. When we do this, the pace of our culture can be experienced in a completely different way. What I’m talking about is truly magical. By honoring our body's intelligence, and by listening to what our body is communicating, a whole new world opens up! How it works is that our body acts as a compass that clearly directs us toward what we do want and away from what we don't want. And, if we don't listen, our body will give us direct feedback. For example, any physical symptom that arises IS your body communicating to you. If you want to go to the next level in your vitality, try consulting your body intelligence with this exercise: close your eyes and ask your body: "What would create the most aliveness for me right now?" Or, "What's the most enlivening choice in this situation?" Create a question that resonates for you. Every BODY is different and what works for one person might not for another. Therefore, YOU know what's best for you in any given moment. It helps to place a hand somewhere on your body while you "consult your inner physician." After you have asked whatever question most resonates, listen and notice any internal response. For example, let's say I'm sitting at a restaurant, and I want to choose a meal that will not only be the most nourishing, but will also boost my overall vitality and energy level. I'd open the menu, place a hand on my body, and ask myself the question: "What would feed my aliveness right now?" Then, as I scan the menu, I'd notice what food options would stimulate a boost of energy. You may notice having a flat feeling inside or a drop in your energy upon certain items. That's a signal that the food choice will be draining rather than enlivening. I encourage you to make this practice a game. Experiment with what signals you get and the results that come from following them. These may seem very basic; however, these simple choices add up to making a significant difference in our energy levels and vitality on a daily basis. It’s important to remember that your body is your greatest ally. In giving your body loving attention and listening to what's being communicated, you open a world of possibilities. One moment at a time, one choice at a time, your whole world can change for the better. Simply giving your body curious attention instead of critical attention is truly a radical move. Honoring what your body is asking for instead of looking outside of yourself for what you should or shouldn't do will create a significantly different orientation to the world than what most of us commonly experience. Quite possibly, we long for simpler, more tribally-oriented times of "hunting and gathering" because back then our survival demanded that we value our body wisdom. These days, sensing the nearness of a lion or intuiting which plants are poisonous and which are edible are no longer crucial (in most places in the world, anyway) to staying alive. Yet, in certain ways, attuning to our body’s signals is more important than ever. Creating balance within our internal ecosystem as well as with the Earth's ecosystem is tricky given the amount of toxins, hormone disruptors and electrical interferences we’re bombarded with. Connecting with the incredible intelligence that lives in every cell of our bodies might, in fact, be the best shot we have at thriving through the incredible challenges presented in modern life as we know it. And, at the very least, it will give us a leg up in heeding the call to become Jedi Masters. 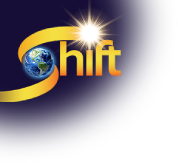 Join Lamara as a co-host with Gay and Katie Hendricks and Mark Metz on the Shift Network’s upcoming Body Intelligence Summit. Lamara Heartwell is a body intelligence expert who speaks, facilitates and performs, inspiring people to claim their bodies as an essential source of intelligence, power and pleasure. Lamara founded Santa Barbara Dance Tribe in 2009, a thriving twice-weekly ecstatic dance event with a strong community presence since its inception. She has produced dozens of performance art events in California over the past 13 years. As the great granddaughter of one of the founders of Exxon, her passion and activism for environmental sustainability has been influenced by her family lineage in the oil industry. Lamara is as invested in the health of the planet as she is in the health of our bodies, and sees a direct relationship between the two. She holds a B.A. in psychology from the University of Colorado at Boulder, a coaching certification through the Hendricks Institute, two years of counseling training at the Interchange Institute, and extensive yoga training since age 16. Lamara lives in Santa Barbara, CA. In her free time, she delights in playing on the magical and wild shores of the pacific.